An extended evening starting around sunset with traditional carols & mulled wine. A delicious Christmas feast in the Pavilion Grand Dining room, warmth from the fire and cheer as we celebrate around the Christmas Tree. A take on the traditional menu, designed by our exclusive Sydney catering partner - Chef Simon Ekas. After dinner, dancing downstairs in the Bong Bong Bar & Terrace lounge. Entertainment provided by Oberon Lane. Outdoor fires and roving desserts enjoyed late into the night. This will be a night of premier hospitality - feast & libations. Here’s to toasting with you at Hopewood House on 27th of July 2019 at 6pm- 11pm. Traditional Christmas carols, glass of mulled wine on arrival, alternate plated entree, alternate plated main, sides, roving dessert, and evening entertainment provided by Oberon Lane. We have four luxury self-contained private cottages. 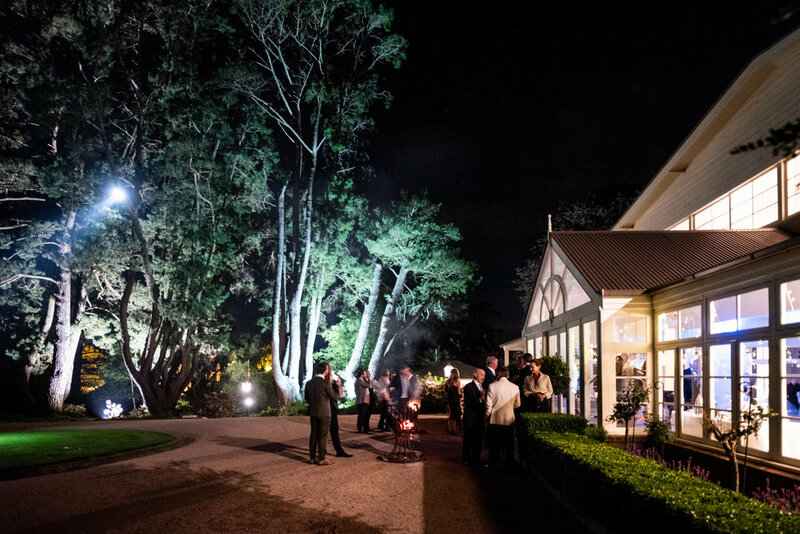 Feast with us this Christmas in July & Stay the night at the estate! Cancellations within (14 Days) of the event - No refunds will be issued. JOIN US FOR CHRISTMAS IN JULY!